Don’t start bargaining until you are sure you want to buy it. You may ask the price but don’t start with the bargaining unless you are willing to buy once an agreeable price is met. Bargaining with no intention to buy is rude. Know the product you are bargaining on before you start talking price. If a vendor knows you don’t know much about the product, they may assume you don’t know the correct price either. If you agree on a price and money and goods are exchanged, the deal is done. You may be able to exchange later within the same day or next for a different size but usually all sales are final. Don’t come back later and complain about the price, because you both agreed to it at the time of purchase. If you can’t reach an agreeable price, smile and say Terima Kasih (Thank You), and continue on. You may be called back and you may not be. Do it politely though. The important thing to remember is that there are honest vendors out there just as there are dishonest ones. For every vendor out there raising their prices without reason, there is also one who is raising their prices because the price they are buying their products for has gone up as well. It is usually pretty easy to tell the difference and in a market you will usually get a better deal and more honest service from someone who is more subdued, rather than the one who is trying to get your attention and calling at you. There are also different ways and manners of haggling depending on your situation and what you are haggling for. Local Markets (Pasar) – These places can be anything from dirty, dingy, dark and smelly places to open and bright places located outside. Here, nothing has an official price as price tags are nowhere to be found. The good thing is that you often don’t have to bargain too hard to get a good price. Since there is so much competition here with the sheer amount of sellers, most of them keep their prices average. If a price is too high, don’t buy it. You may find out that all the other sellers are selling for that price though and it is just an expensive season for that item. 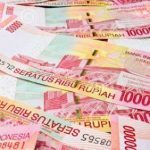 Often sellers will give you the regular price up front and you are welcome to haggle down a few thousand rupiah or more depending on the item. Sometimes they give it and sometimes they don’t but they are usually fair. You are more likely to get a discount for buying more at one time. 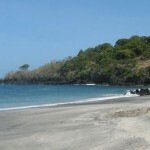 Tourist Centers – Anyone who has ever stepped foot in Kuta, Legian or any other tourist area knows that bargaining is key and anyone who pays the first price is a sucker. The behavior of vendors here is unpredictable and they can offer you any sort of price, and turn you down for a fair one if they are having an especially lucrative day/week. Often times anything found in the tourist center can be found elsewhere for cheaper, but convenience is a factor. It helps here to know the average price of your item and go back and forth with the prices until you meet one that you agree on. If you can’t meet an agreeable price with a certain seller then just move on, they all sell the same things anyways, so you’re bound to find someone to sell to you for your price. Services – The services of people here can usually be haggled with and that even goes from contracted workers to employee salaries. Again, if you both reach an agreement here and are happy, then that is the most important thing. The right price to pay will depend on the job and all aspects of it, but you can usually get the price down if you think the first price you were given was too high. 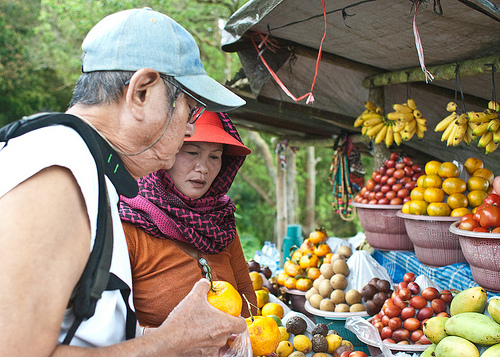 Warungs – Trying to haggle in a warung is generally frowned upon. Usually items in a warung are not clearly marked with a price list and they are counted and added up manually. Overcharging can happen in these warungs, and you are welcome to ask for an explanation of your price, but straight out haggling over the price of your meal would be considered very rude. Practicing your bargaining skills can be a bit fun too, and after a while it begins to come naturally, so have fun with it!